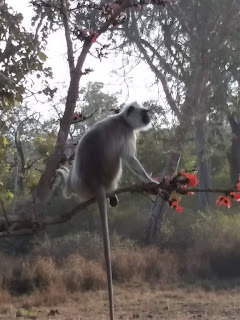 I had an extraordinarily long travel day yesterday—from Changanacherry, where Father Gregory Gresko, O.S.B., and I have been teaching at the John Paul II Pontifical Institute, to Bangalore, to Mysore, and back to Bangalore—but the early-evening safari in Bandhipur National Park made it all worth it. There were many beautiful moments, but my favorite was when our bus stopped just as this stunning creature was outside my window. I took this photo with my phone without having to enlarge the field of vision; the baboon was as close as it appears. 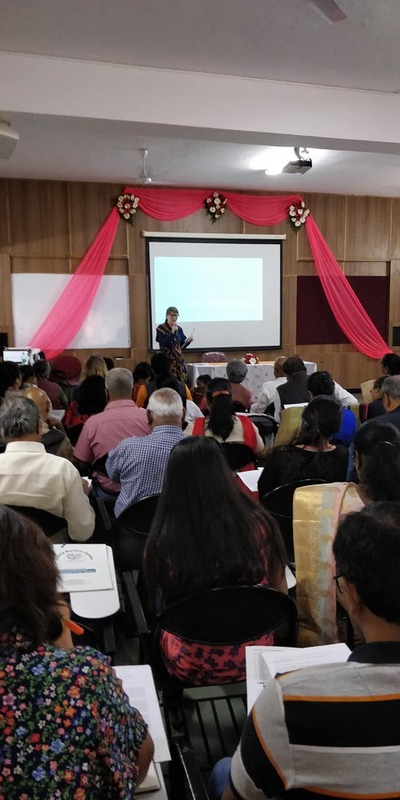 Today Father Gregory and I had the pleasure of speaking at a conference sponsored by the Archdiocese of Bangalore's Family Life Centre, "Hope for a Wounded World: The Church's Teachings on True Love in the Contemporary Culture Landscape." We delivered our talks after a powerful introductory speech by Archbishop Peter Machado, whom Pope Francis named to the Archdiocese of Bangalore last March. He spoke of the Church's mission to protect the unborn, to encourage spouses to allow God to plan their family, and to defend the truth about marriage and sexuality. My talk and Father Gregory's complemented each other. He spoke on Karol Wojtyla's teachings in Love and Responsibility on education in love and sexuality, whereas I spoke on Wojtyla's writings after he became pope, "John Paul II on 'Adultery in the Heart' and Its Answer: The Gift of Piety." We were told that more than two hundred people turned out, although we were unable to see them all, as many were standing outside, watching the conference on video. What a blessing it was to provide instruction for such a vibrant and growing local church! Many thanks to Father Sunny Richard John, Naveen and Jini Lobo, and all the others who organized and promoted the event. 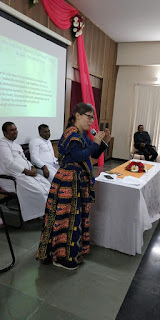 After my talk, I was joined by two local priests, Father Deva and Father Arokiaswamy, who assisted during the Q&A. 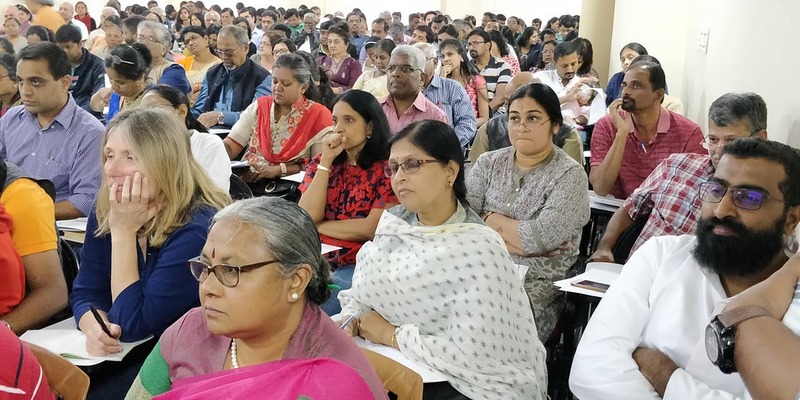 There was one sad moment, as after the symposium I learned from two of the attendees that certain U.S. websites and media personalities that engage in vitriolic assaults against the Holy Father have gained a foothold in India. Here I had just spoken of piety, which includes respect for one's country, only to be reminded that my country's exports from some purportedly Catholic outlets include poisonous rumors and unrelenting suspicion of the Church's chief shepherd. Please join me in praying in reparation for the damage done to the Church and world by such self-proclaimed militants. Tomorrow I am looking forward to visiting a Benedictine monastery and praying a rosary at a Jesuit cemetery before taking an evening flight back to Changanacherry. Many thanks to all of you who are praying for me during this grace-filled trip, where I am meeting so many wonderful people as I share the Good News of Catholic teaching on love and marriage.